If you live around Shangri-La at the Fort and BGC, you may have noticed that the cats that frequent those areas have been MIA. Well, you're not the only one. According to Spot.ph, Facebook user "Lucy M" took to social media to ask about the missing cats, alleging that Shangri-La at the Fort hired Pestbusters to "control" and relocate the animals, which was later confirmed by general manager John Rice. As far back as November 2017, volunteers had noticed that some of the Shangri-La cats had gone missing. However, none of the investigations led to any conclusions. Neither CARA nor Cats of BGC were informed of any official plans by Shangri-La Fort management to remove the cats. 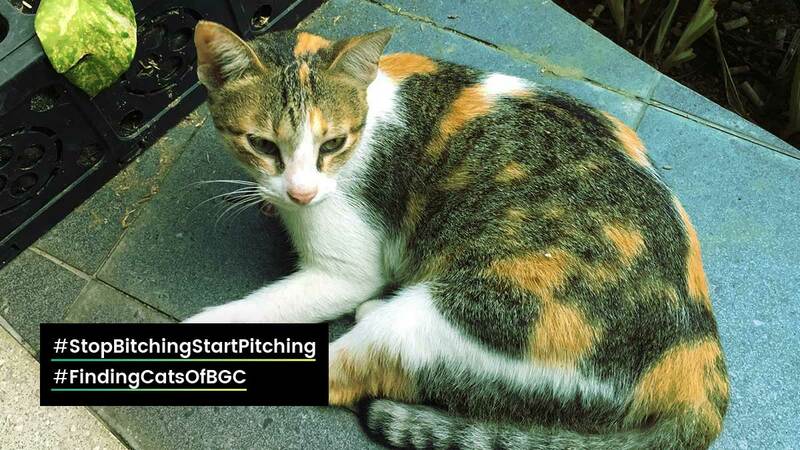 Neither CARA nor Cats of BGC were informed about the most recent plans to hire Pestbusters to catch and remove the cats early in the morning of February 14th. It wasn't until volunteers and concerned citizens informed us that the cats were missing that we contacted Shangri-La’s management. The next day, February 15, representatives of CARA and Cats of BGC met with Shangri-La Fort's GM. At that time we were told that the cats had been adopted by some of their staff, and that Pestbusters had relocated the remaining cats to an undisclosed location. We have yet to be given any sort of proof that cats were indeed adopted by Shangri-La Fort's staff. Despite many efforts to contact Pestbusters, we have not received any cooperation, information or statement from them. It wasn't until Sunday, February 18 that Shangril-La Fort gave us the possible relocation sites of the cats. The locations given were not "exact" as stated, rather vague descriptions of areas in Taguig. Volunteers are on their way to search the areas today; updates will be posted once we have more information. Cosmo.ph reached out to Cats of BGC—who's working alongside CARA—to ask what concerned citizens and cat lovers can do to at this point: Help create awareness! Here are the cats that are still missing. If you find them, please alert Cats of BGC. And here are those who need FURever homes. For adoption inquiries, message Cats of BGC. Today, CARA volunteers are checking the areas where Shangri-La at the Fort claimed to have relocated the cats. Stay tuned for updates.